Last year, Will appeared in We’re the Millers alongside Jennifer Aniston and Jason Sudeikis. He will celebrate his 21st birthday next week. Will he return to Narnia in The Silver Chair? There is no trailer because there’s no casting or filming the took place yet. Duh, they haven’t even chosen the actors. Thanks to the fact that his performance in VDT was one of the few things I really loved about the film, I’m still undecided on if he *should* return or not. Normally, looking at how much he’s aged and grown and how his voice has changed, I’d say we’d definitely need a recast, but his near-perfect portrayal of Eustace always has me second guessing that. If he won, I wonder if/how it would affect the likelihood of his return? You said exactly my opinion about Will as Eustace. I always second guess about a replacement when Will did such an amazing job as Eustace. I also think that since he is older it opens a possible romance. But you never know they might not. Presumably Greshem will have more control over the script, so I don’t think we’ll see a ‘romance’. I’m Sorry, but i’m afraid he’s gonna half to go, he is way too old to play Eustace, but i thought he was amazing in VDT. I might have to respectfully disagree . . . I haven’t heard his voice recently, but I do not think it is a definite no-go. I, personally, do not like recasts much because they mess with continuity and Poulter did an excellent job with Eustace. Aside from that, Actors his age have still been known to play younger parts. For example, Percy Jackson – a high school student – is portrayed by Logan Lerman, who is probably around the same age as Will. I don’t think it’s absolutely necessary that they recast. I think it could be pulled off, though I will understand their reasoning if they do recast Eustace. All depends on how much his general appearance has changed…not just that he’s "older" – for example, Elijah Wood was in his 30s vs. late teens when he returned as Frodo in The Hobbit. Did he look older while still playing a character of the same age? Yes – but he was closer to the Frodo we know than recasting him and his overall appearance did not change. Poulter himself may be older, but Eustace doesn’t have to be…he’s not so old he can’t play a younger character – clothing, make-up, and his acting ability all come into play. So if possible, I’d definitely hope he would continue in the role. Congratulations!! He most certainly deserves to win this award. Unfortunately, I went to vote and upon reading the terms discovered that the voting option only applies to those living in the UK. While it appears that your vote has been cast elsewhere, it states that votes not sent in from the UK will automatically be disqualified. Such a shame. You can by submitting your first name and email without having to sign in to your facebook or twitter. I just voted and it went and I live in the US. Quinlin is right. It refuses all non-UK votes, even if yours went through. The system will just spit it out when they see a non-UK IP address. "Only people living within the UK may vote. If you vote from outside the UK your vote will be discounted. If your IP address suggests you may be voting from outside the UK, your vote may also be discounted." I’m sorry that it didn’t work for you either Skangie but when I send mine they confirmed me that it went through. Yes Yes Yes Yes! 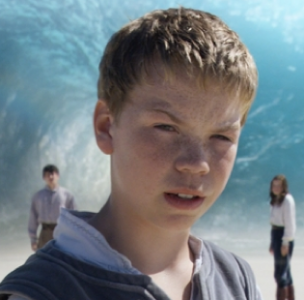 Will Poulter for Eustace! No one else could play that role as good as hime! I hope he does wins! He’s an incredible actor and needs to be recognized for it.